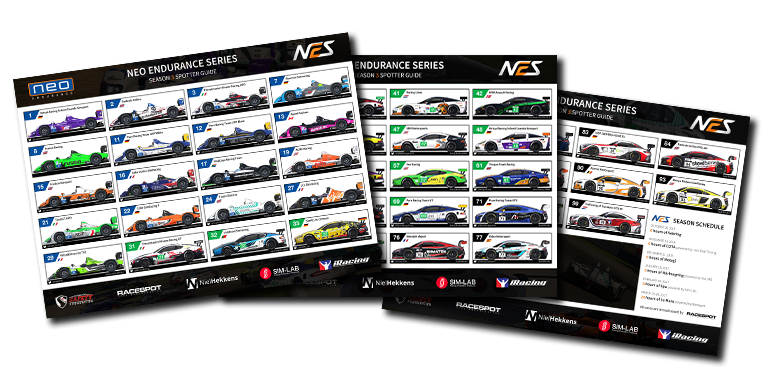 Welcome to season 5 (2018/2019) official spotter guide for the NEO Endurance Series, designed and created by Niel Hekkens. The spotter guide is available in PDF format. To download the JPG files, right click and press “Save as”.